It is time for the newest Scraps-N-Pieces Blog Train. 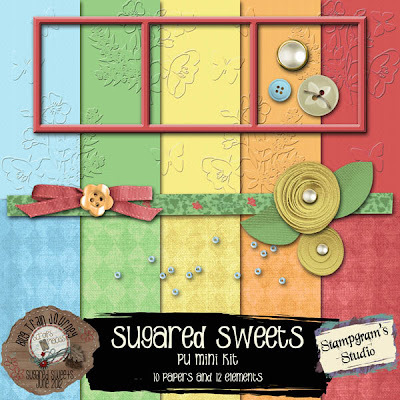 This time the theme is Sugared Sweets and the colors are absolutely Yummy! And don't forget to grab all the others for a great collection of goodies. Thanks for the kit, like your buttons. Thank you for your wonderful portion of the blog train. Must say I LOVE Family Search.org - have found some great genealogy information that I never found elsewhere! Thank you so much for this post. I want to let you know that I posted a link to your blog in CBH Digital Scrapbooking Freebies (please, notice the new url for my blog), under the Page 2 post on Jun. 16, 2012. Thanks again. thanks for sharing. yeah, embossed papers are really cool.